Mine: Just pure escapism. Beautiful people, beautiful scenery, fun music, reasonable plot. Not earth shattering, but sure fun to watch. 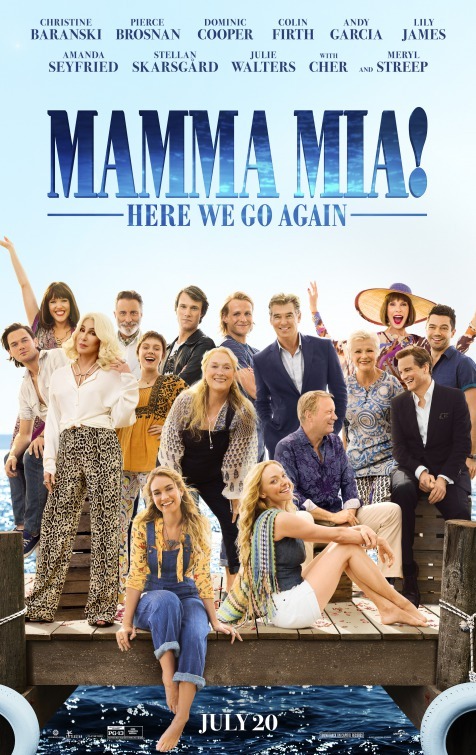 Leonard Maltin/Plot synopsis: Five years after the events of Mamma Mia! (2008), Sophie prepares for the grand reopening of the Hotel Bella Donna as she learns more about her mother's past.